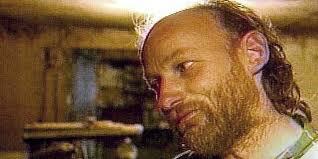 When Robert Pickton was charged with the first and second degree murders of 26 women from Vancouver’s Downtown East Side in 2002 and 2003, not only did it open the eyes of Canadians to the horrendous crime that had taken place over the course of several years, it allowed the public to see an epidemic that had been sweeping the country for decades. Women began going missing from that area beginning in the early 1990’s, but it wasn’t until 1999 that the police began to become involved. Not all of the 60 women who have gone missing since then have been Aboriginal, but a large percentage are. This is just one case in many where Aboriginal women have fallen victim to violent crimes. Aboriginal women make up 3% of the female population in Canada, but in a report by the Canadian Feminist Alliance for International Action; one in ten murdered women in Canada is Aboriginal. The disappeared and murdered women are typically young, living in Western Canadian cities. It is also important that Aboriginal women are more likely to be murdered by a stranger than non-Aboriginal woman, and finally that police intervene less frequently and later in missing persons and murder cases involving Aboriginal women. Even more disturbing is that nearly half of the cases which involve the murder of Aboriginal women are unsolved. Statistics Canada notes that for a number of reasons a definitive number cannot be given to the number of missing and murdered Aboriginal women. But, a report by Amnesty International cites the police’s failure to protect Aboriginal women and lack of investigation into violent crimes as a major reason why this inequality continues. 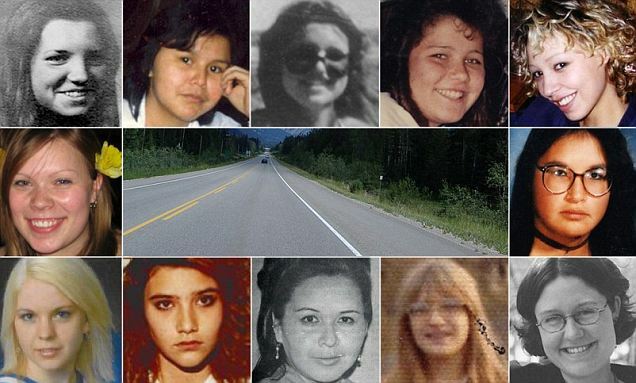 Highway 16, a stretch of pavement which runs from Manitoba through to Northern British Columbia linking numerous First Nation communities, is a road known for a high number of disappearances of Aboriginal women. There is no definitive number, but according to The Canadian Feminist Alliance for International Action, forty Aboriginal women have gone missing from the area. More publicized is the Highway of Tears, a section of the road within BC where the RCMP have documented the disappearances and murders of 18 Aboriginal women from 1969-2006. Sadly, it was not until 2005 that a special task force was assembled within the RCMP to investigate these cases. In May, 2012 – a break through. DNA evidence shows that deceased Bobby Jack Fowler, from the United States murdered 16 year old, Highway of Tears victim, Colleen Macmillen. Police believe Fowler was responsible for several other murders in the area, and they continue their investigation. The remainder of the case are unsolved. High profile murder cases involving Aboriginal women, such as the the case involving serial killer, Robert Pickton and The Highway of Tears, shines the light on violent crimes against Aboriginal women in Canada. Within the past two decades, a national cry has been heard by organizations such as Amnesty International and other feminist and Aboriginal groups who condemn the lack of investigation by police, and the lack of intervention by the government to help save vulnerable First Nations females. Recommendations brought forth from these organizations attempt to show to government why violent crimes are aimed at First Nations women and ways in which we, as a society can help. But they cannot go back in history and rewrite the hundreds and hundreds of unsolved cases involving murdered and missing Aboriginal women in Canada. (1) Canadian Feminist Alliance for International Action report. This report investigates cases of murdered and missing Aboriginal women and children and seeks a solution to violent crimes against them. The Canadian Feminist Alliance for International Action exhibits statistics to show that Aboriginal women are far more at risk than white women in Canada. The report also shows the inequality between Aboriginal women and white women in regards to police investigations. (2) Highway of Tears site. This website acts as a memorial and missing persons page. The highway of tears website was created by the friends and family of women assumed murdered or have gone missing while on Highway 16 in British Columbia between 1969-2005. This article delves into the reasons why media coverage of the victims of the Highway of Tears is diminishing. The author tells of the story of journalists who have covered the story and how many are trying to keep the story alive to help solve the crimes. (4) Amnesty International Canada report. This article assesses the amount of violence Aboriginal women face in Canada. Amnesty International argues that both government and society has failed Aboriginal women and that without adequate programs and new laws, violence will continue and those who prey on Aboriginal women will never be brought to justice. This Canadian government website provides statistic data collected on violence involving Aboriginal women. More specially, the website provides key information on murdered and disappeared Aboriginal women in Canada, including the region in which violent crimes occur most and other important information such as age.